Dubai: The city of Dubai received one of the highest numbers of visitors from around the world this year, with millions of tourists visiting the emirate in 2018. UK-based market research firm Euromonitor International released on Tuesday its Top 100 City Destinations 2018 report, a ranking of cities most attractive to international tourists. 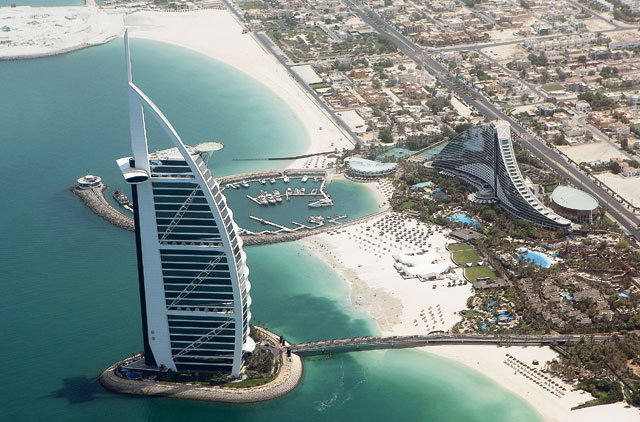 Dubai came out in the seventh place, ahead of New York and many other popular destinations in Europe and the Americas. The report indicated that there were more visitors snapping photos of landmarks and checking into hotels in Dubai than in any other cities of interest in the Middle East and in tourist hotspots like Rome, Amsterdam, Milan, Vienna, Prague, Las Vegas, Los Angeles, Miami, Vancouver, Toronto and Vancouver. Euromonitor reviewed last year's international arrivals in 600 cities around the world to find out which destinations have stood out in terms of tourist traffic. The research firm's latest data showed that Dubai’s international arrivals increased by 6.2 per cent to nearly 17 million, and it’s the only city in the Middle East and Africa that showed up in the top ten most visited globally. During the first half of the year, tourist arrivals in the emirate reached more than 8 million, according to the latest official data. Overall, Hong Kong came out on top with nearly 30 million tourists, followed by Bangkok in the second position, London in the third place and Singapore and Macau in the fourth and fifth position, respectively. Dubai seeks to attract 20 million visitors by the year 2020 and has been actively promoting itself as a top choice for people travelling for leisure or business. A number of initiatives have been put in place in order to boost tourist arrivals, including visa extensions, visa-on-arrival policies, no charge for transit tourists for up to 48 hours, optional extended-stay visas for up to 96 hours. “Dubai is one of the most innovative cities in the world ,with a host of new and smart technologies continuously introduced in the city state. This includes smart palms on its beaches and successful tests of flying taxis,” Euromonitor said.